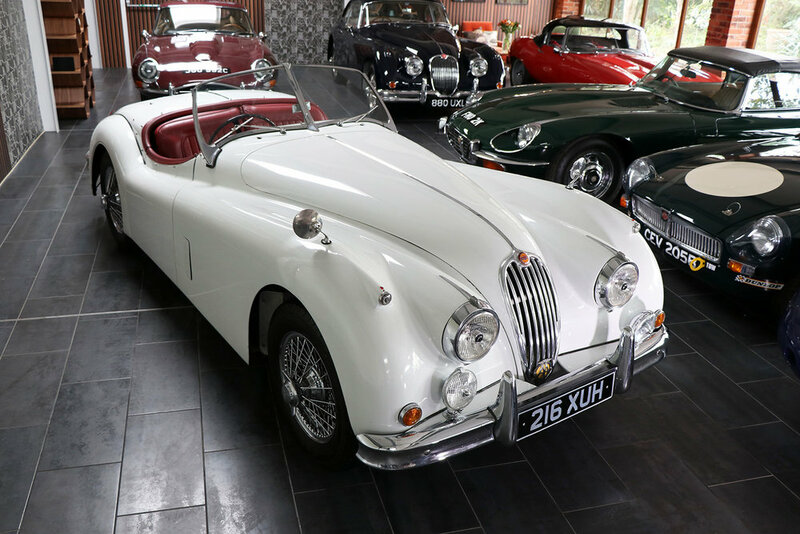 An original example of a Jaguar XK140 MC, this car was imported from the U.S. and converted to a right hand drive. 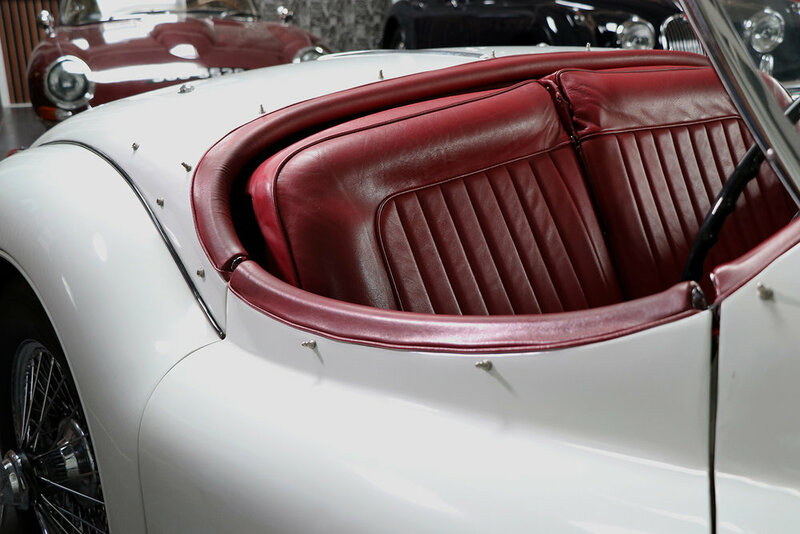 Boasting the more powerful ‘C’ Type cylinder head, this car is not restored, but has been very well maintained. 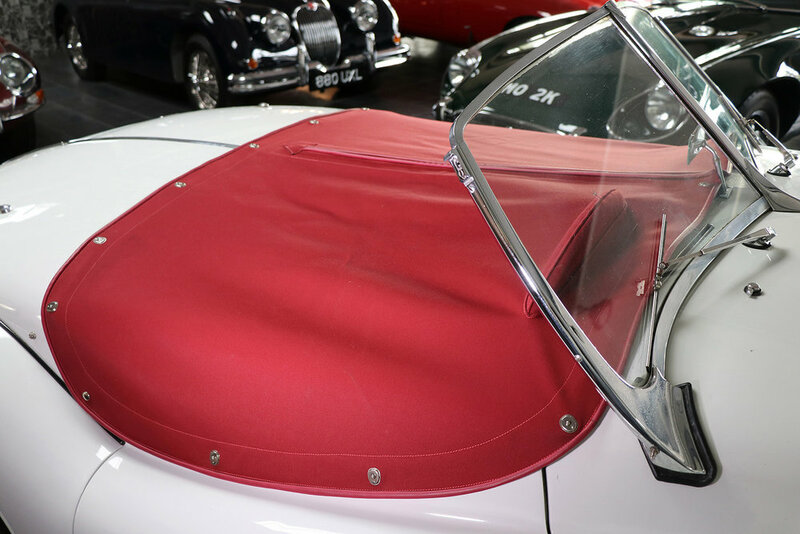 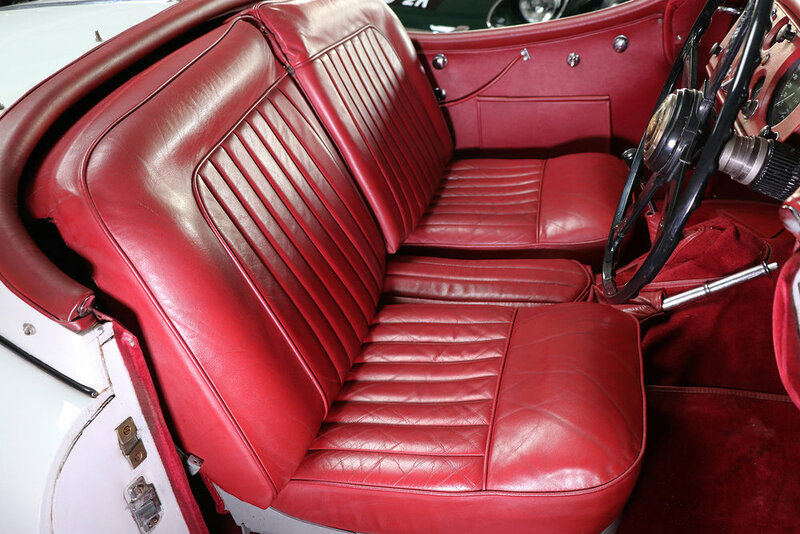 With a white exterior, the interior of the roadster is finished in red, including dash and comes with matching tonneau cover. 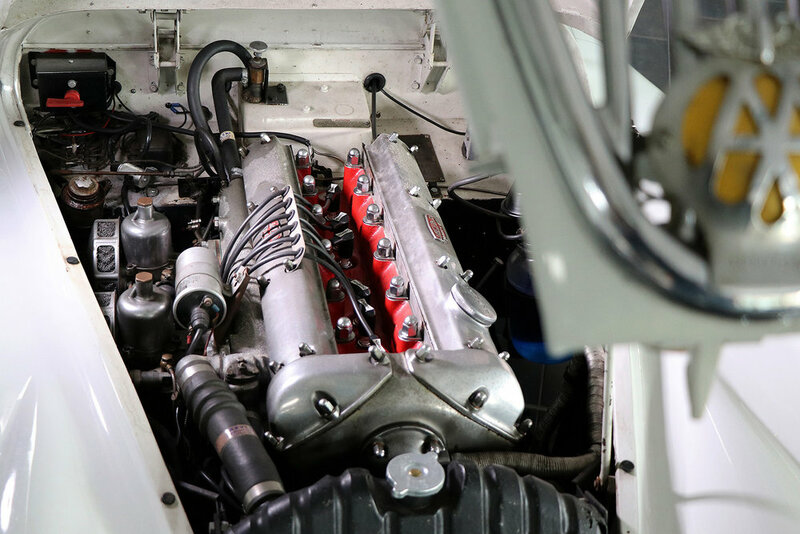 It is fitted with upgraded front discs and new chrome wire wheels. 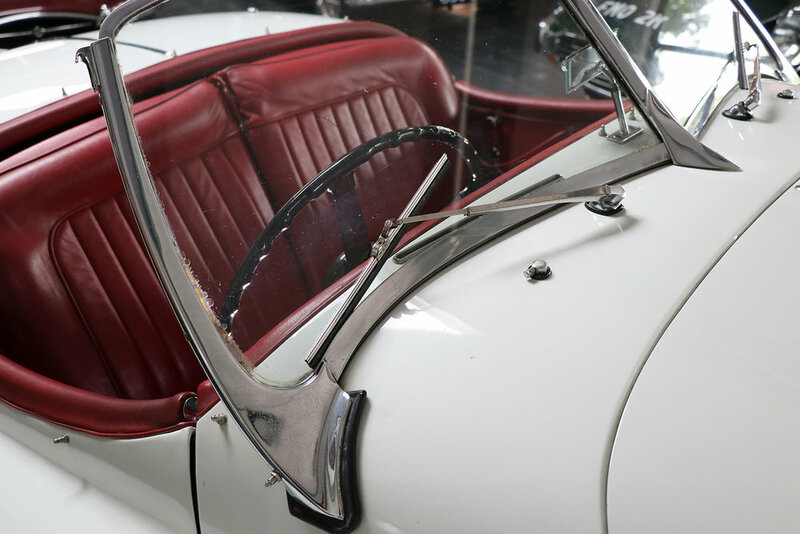 This desirable and original vehicle has been maintained and supplied to its present owner by Sayer Selection and is ready for immediate use.